When do Affluent Investors Plan to Retire? Spectrem Group research of affluent investors shows that a majority of investors make plans to retire at a certain age, but do not manage to do so. It also shows that investors are planning on not retiring at any age. Almost three-fourths (72 percent) of the wealthiest Ultra High Net Worth investors, with a net worth between $15 million and $25 million, said they would retire after they turn 65. At the younger age of investors, just above one in ten of UHNW investors said they would retire before they turn 60. When looking at occupation, more investors felt that the 66-70 age group would be an ideal retirement age, but thrity percent of professionals plan to retire before they turn 60, and 44 percent of business owners plan to retire after they turn 70. The percentage of UHNW investors who are concerned about being able to retire when they want decreased from three in ten in 2013 to 2 in ten in 2014. Just above forty percent of those under the age of 52 are still worried about being able to retire when they want to. Spectrem Group research shows that with Millionaires, 12 percent plan to retire before they turn 60, but Millionaires are much less inclined to stay working than UHNW investors. Only 36 percent of Millionaires planned to wait until they reached at least 66 to retire, compared to the 57 percent of UHNW investors. 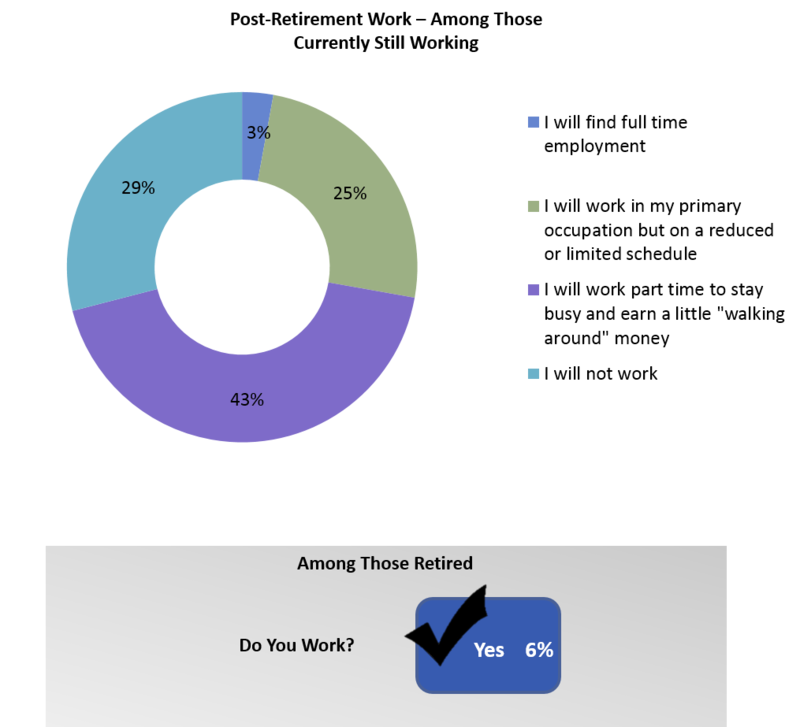 Among Millionaires already retired, almost half said they retired before they turned 60, and forty-five percent said they retired at the age they wanted to retire. Among the 55 percent who did not retire at their pre-set age, 78 percent retired before they planned to. With UHNW investors, nearly half managed to retire when they planned to do so. But the fifty-one percent who did not retire at their planned age, more than three-quarters said they managed to retire before they intended. That included 100 percent of retired investors under the age of 60.